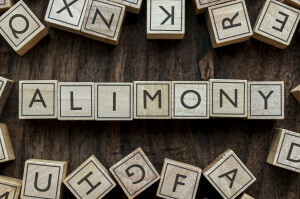 An important topic in many divorces is spousal support, formerly known as alimony. The decision to award one spouse support is often determined by many factors, including: the duration of the marriage, the income or property awarded to each spouse, each spouse’s financial obligations, the age, physical, and mental health of each spouse, and the earning potential of each spouse. Beginning in 2015, the Illinois legislature enacted a simple formula to compute the amount a spouse may receive in support. Spousal support is determined by taking 30% of the gross income of the higher-earning party, less 20% of the other spouse’s gross income. The amount of support added to the gross income of the receiving spouse, however, cannot exceed 40% of the parties combined cross income. For example, let’s assume Spouse A earns $120,000 gross per year and Spouse B earns $30,000 gross income per year. 30% of Spouse A’s income is $36,000 and 20% of Spouse B’s income is $6,000. $36,000 minus $6,000 is $30,000. Now we need to make sure that amount does not exceed 40% of the combined gross income. The parties’ combine gross income is $150,000. 40% of the combined income is $60,000. Add $30,000 to Spouse B’s income and you get $60,000. This does not exceed 40% of the combined gross income, so Spouse B will receive $30,000 per year in spousal support. Next, parties must determine how long Spouse B will receive the spousal support. The Illinois Marriage and Dissolution of Marriage Act provides another formula to determine the amount of time the support will last depending on the length of the marriage. Any award of spousal support can be reduced or increased depending on other factors such as the income of each party, the assets of each party, or the earning ability of each party. Be sure to contact our Wheaton family law attorneys to make sure you receive the correct amount of spousal support in your divorce proceeding.